European stock markets were mixed Monday as investors were looking for fresh clues on Brexit talks from a speech by embattled British Prime Minister Theresa May. The euro meanwhile held firm in the face of mounting pressure against Catalonia's push to break away from Spain, while US stocks retreated as a nine-day streak of Nasdaq gains ended. In an address to parliament, May said she expected "leadership and flexibility" from the other 27 members of the European Union in the divorce talks. "As we look forward to the next stage, the ball is in their court. But I am optimistic we will receive a positive response," May said. 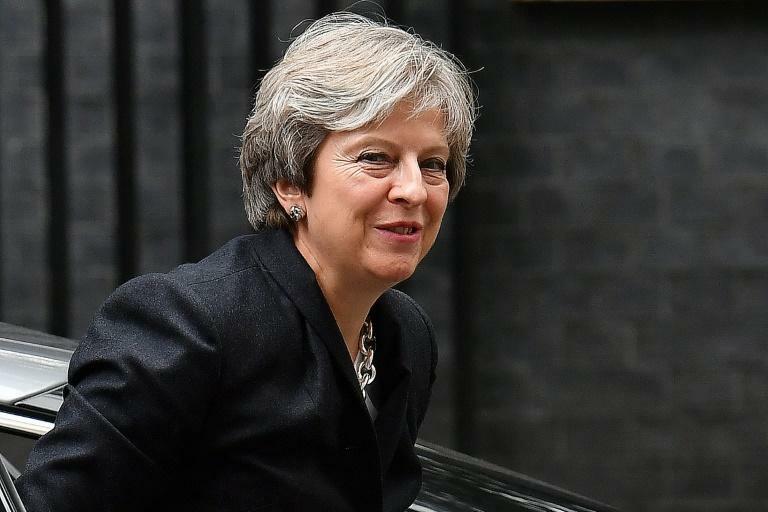 But the European Commission roundly rejected May's assertion that it was up to Brussels to take the initiative to advance the stalled talks, amid fears that her domestic political woes were threatening the negotiations. The pound was in recovery mode Monday, making good some of the heavy losses it had sustained last week on rumors of a plot to oust May as Conservative party leader amid bitter divisions over how the UK should plan its EU departure. Meanwhile, Madrid stocks pushed higher although Catalan leader Carles Puigdemont could still declare the region independent as promised, possibly by Tuesday. "The IBEX 35 has bounced back today as tensions have cooled in comparison with early last week, but the market is regaining the ground it lost at the start of the month," said David Madden, a market analyst at CMC Markets. The DAX 30 in Frankfurt struck a new record high after industrial output grew faster than expected in August, just short of breaching the 13,000 points level. Trading volumes were down on Wall Street due to the Columbus Day holiday. Health and media shares were among the biggest decliners as investors looked ahead to major earnings reports this week from banks such as JPMorgan Chase and Bank of America and from other companies, such as Delta Air Lines. All three major US indices declined, with the Nasdaq falling 0.2 percent to 6,579.73, snapping streaks of nine straight gains and six straight records. Meanwhile on Monday, Shanghai ended higher as investors returned from the week-long Golden Week celebrations and reacted for the first time to the Chinese central bank's decision to cut the amount of cash banks must hold in reserve as part of a push to help small businesses. Hong Kong retreated on profit-taking after ending Friday at a 10-year high. Tokyo, Seoul and Taipei were closed for public holidays.